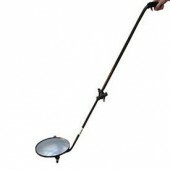 The product you are viewing is an easy and simple to use Handheld Under Vehicle Search Mirror that has light weight alloy handle. And unlike other equipments, this one can not only being used indoors, but also can be used outdoors. Since the 12" round convex or flat acrylic mirror adopts the special material, so the surface of it is very clear. 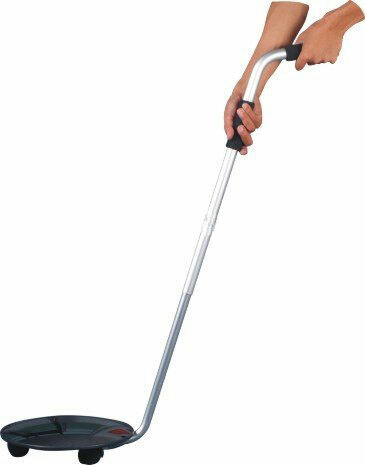 And the aluminum handle extend from 42" to 51". And the adjustable swivel is equipped for infinite adjustment. Besides a heavy-duty extruded rubber rim to help prevent damaging objects when maneuvering. If you are looking for one like this, just come here and contact us then you will get high quality product at the best price. Do not hesitate, go ahead. Mirror:A 30 cm × 30 cm high-intensity shatterproof acrylic mirror is made of non-friable acrylic instead of ordinary glass plated mercury. Design:The product is designed as 180-degree turn around so that it can detect vehicles or goods in detail as possible. Light source:There are two kinds of light sources for your choice: fluorescent lamps and LED. Good quality and nice service. The product is really good in quality and the service of your clerk is very nice.I am satisfied. Easy to operate and convenient to bring with. 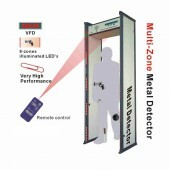 This kind of detector is easy to operate and convenient to bring with. The design is very creative and it provides me a lot of fun. I bought this kind of detector several times, it is really of good quality and sound price.